We just published a new review on GW and Bethe-Salpeter (BSE) for molecules. 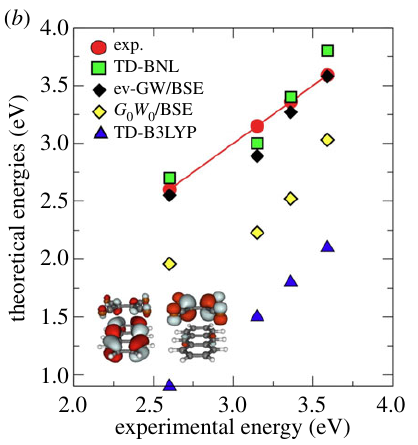 In the review we discuss electronic excitations both in TDDFT and in the Green’s function approach. The successes and failures of the different methods are presented. In particular we focused on charge-transfer excitations for which the photoexcited electron and the hole left behind are spatially separated. Such excitations are central to many applications in photovoltaics, photocatalysis, photosynthesis and biology.